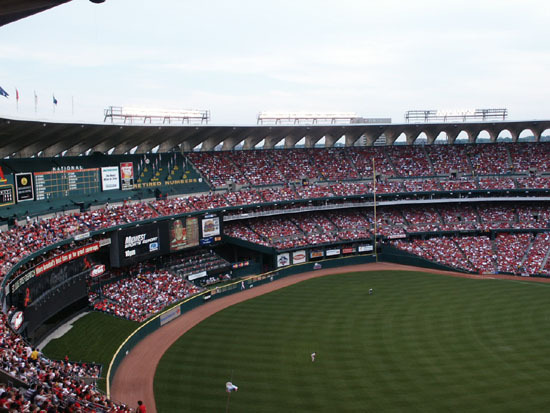 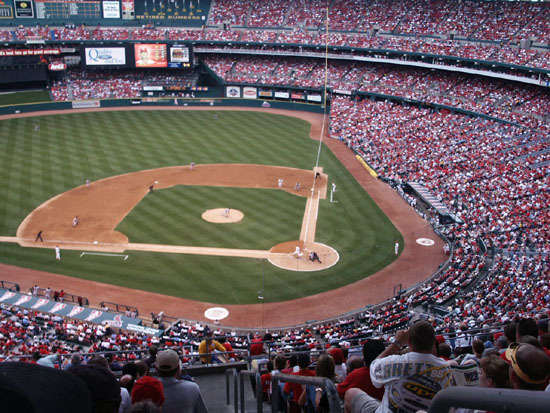 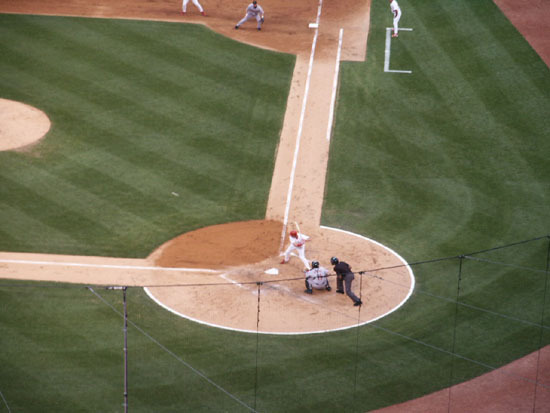 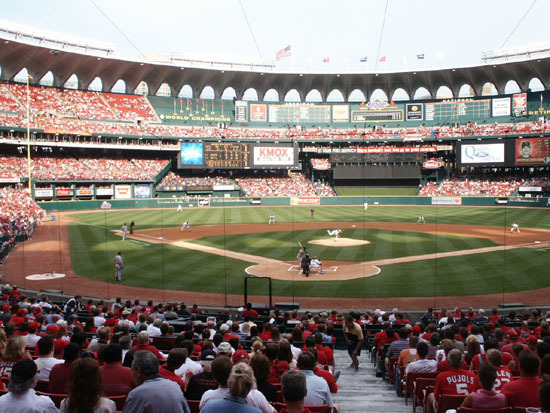 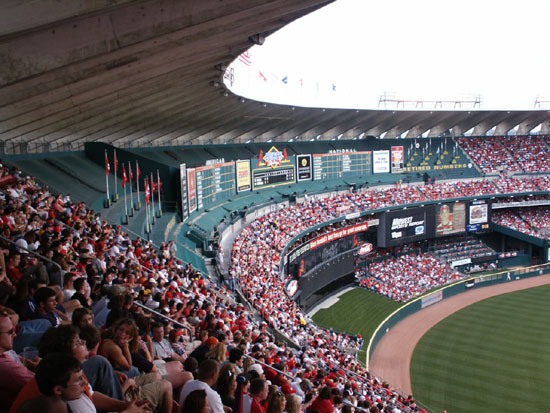 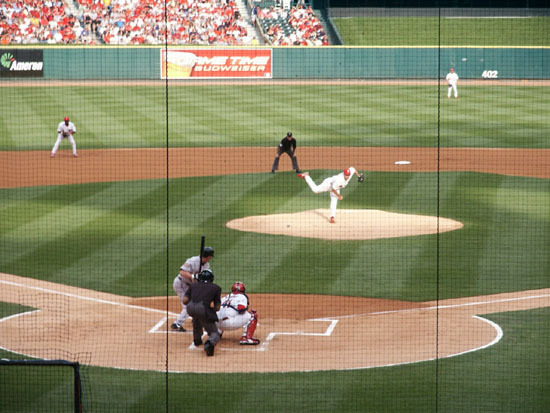 The St. Louis Cardinals play in Busch Stadium which was built in 1966. 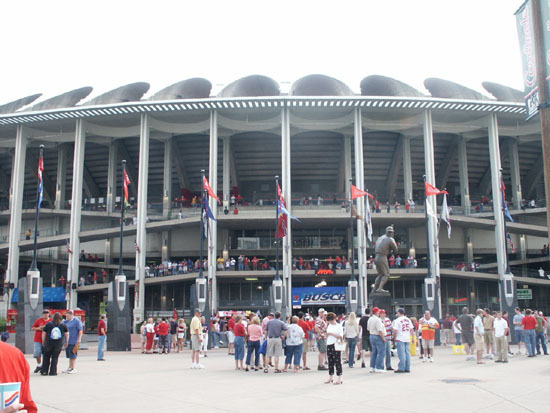 This is a pretty nice stadium, but the ground is already being cleared next door for its replacement. 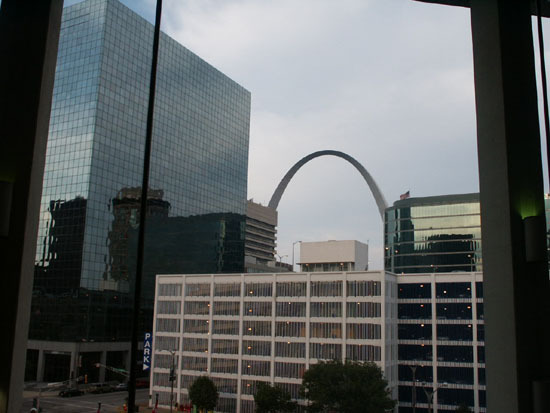 There are high walls all around and you can see just the tops of a few really tall buildings. 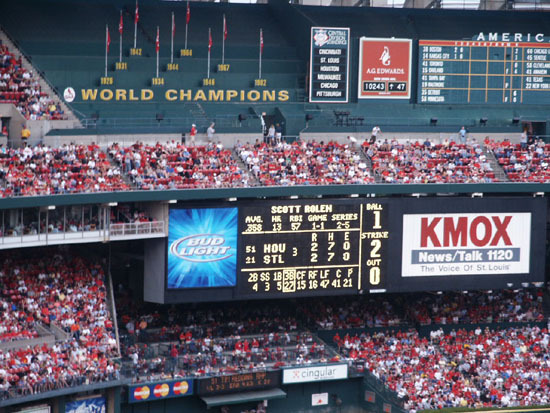 There is red seating all the way up everywhere except center field where the uppermost level is scoreboards and flags for each retired jersey and the pennant flags the Cardinals have won. 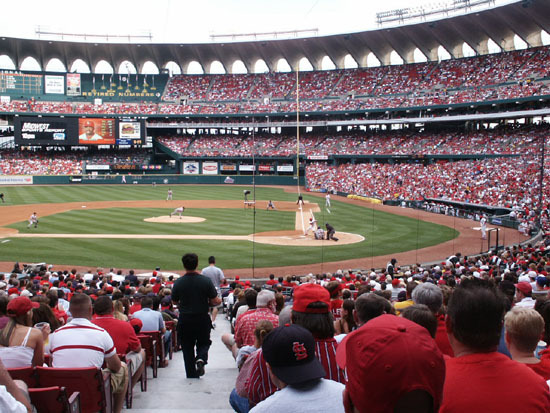 There is one section of backless bleachers in left center and one section of backed bleachers in right center. 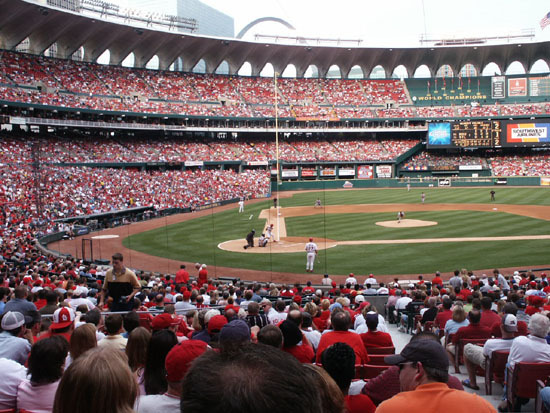 The first few rows are green seats. 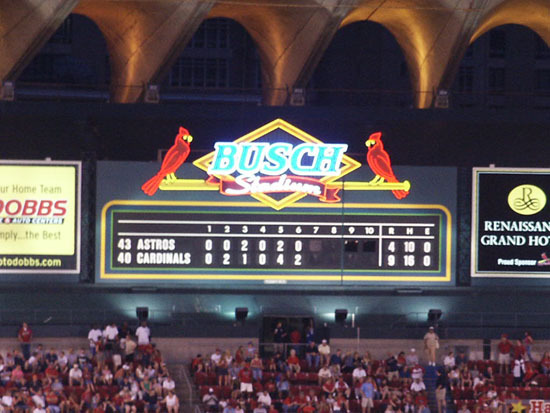 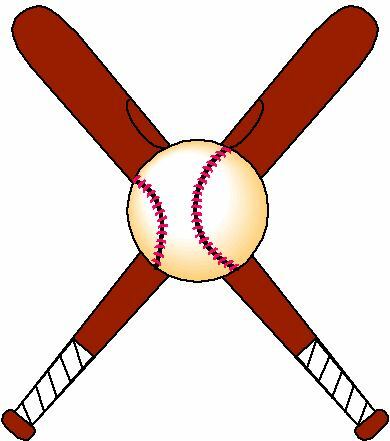 The Cardinals were playing the Houston Astros and it was back and forth for a few innings, then the Cards pulled away, winning 10-4. 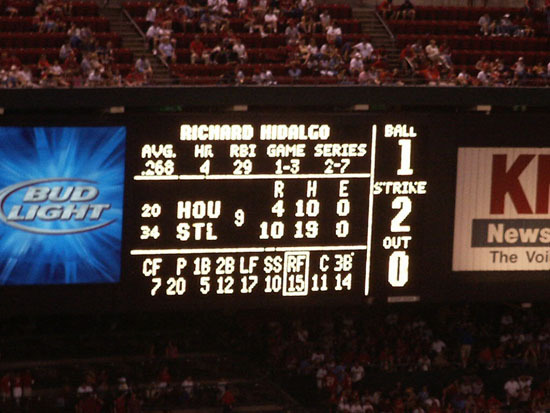 The box score was Houston R-4, H-11, E-0 and St. Louis R-10, H-19, E-0. 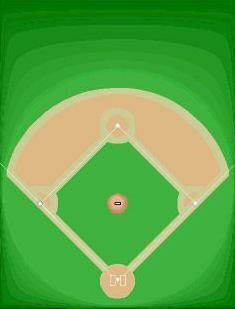 The field lines are RF & LF-330', RC & LC-372, and CF-402'. 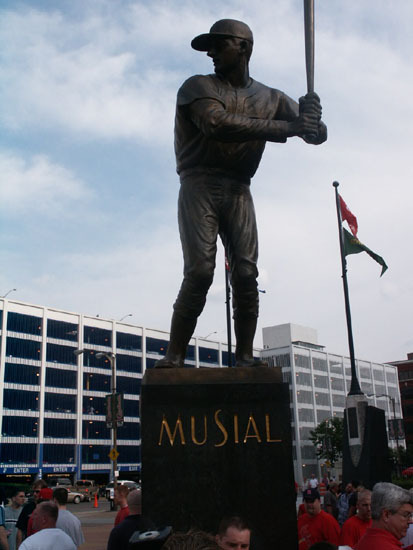 In front of the stadium is a large statue of Stan "The Man" Musial. 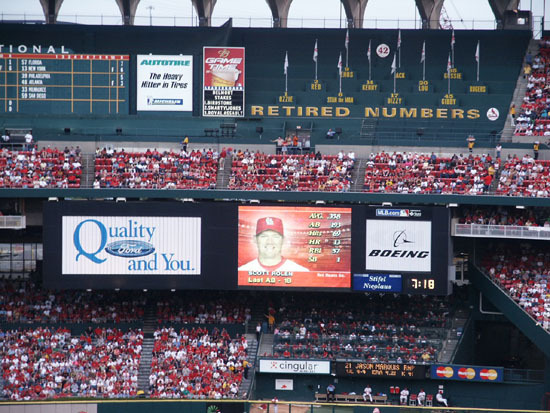 There are small statues of the Cardinal players who have had their numbers retired. 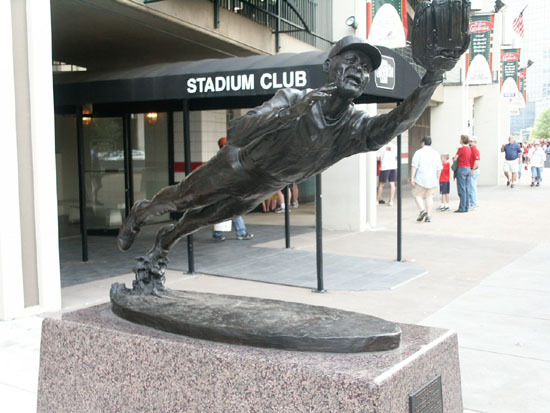 Ozzie Smith is the one statue shown. 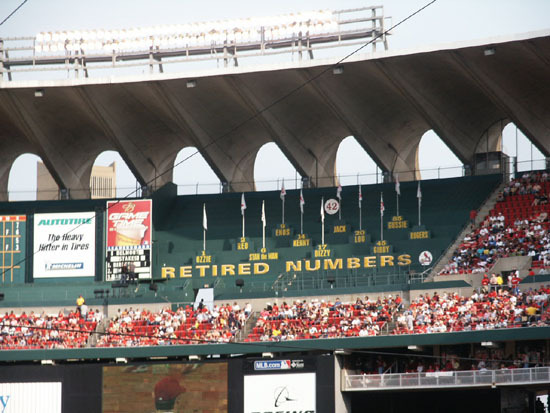 In upper right field are the flags of the retired Cardinal team numbers. 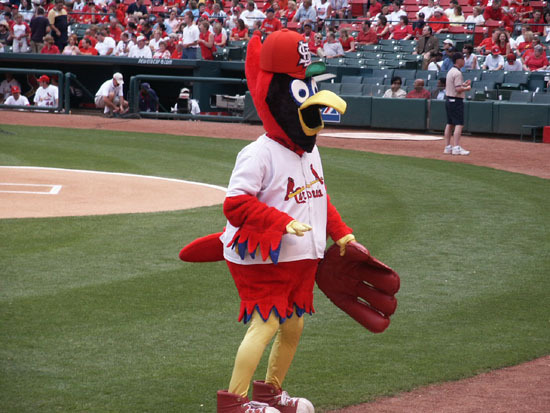 Fred Bird is the mascot. 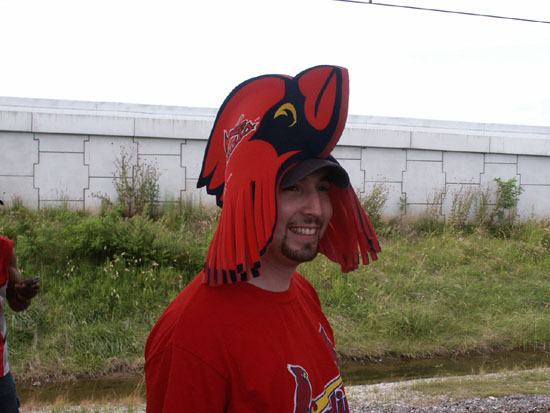 Some of the Cards fans wear specials hats as the man was who was waiting to ride the light rail into the stadium with us. 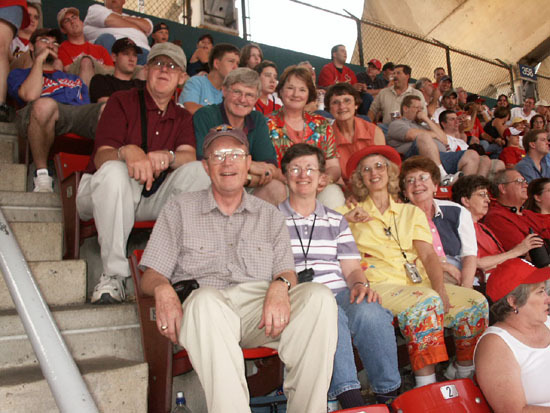 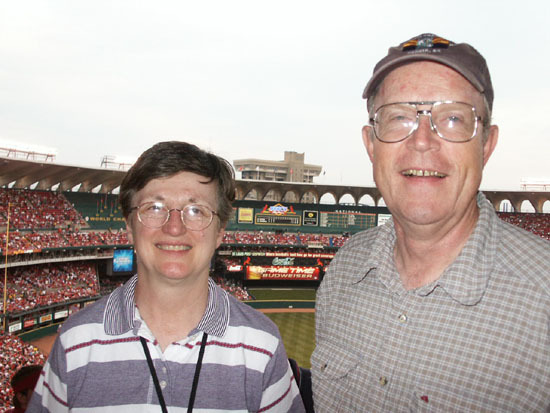 Joining us at the game were several relatives, two beside us and four behind us. 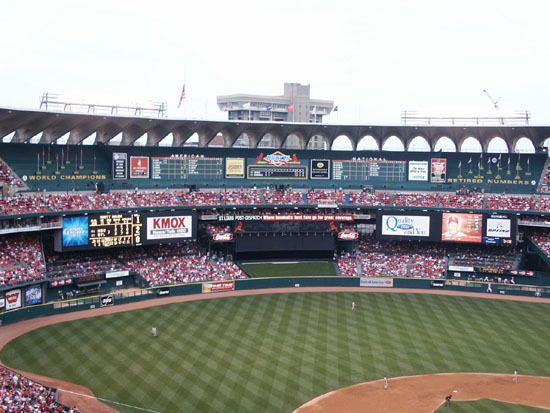 From the upper level concourse you can see the Gateway Arch. 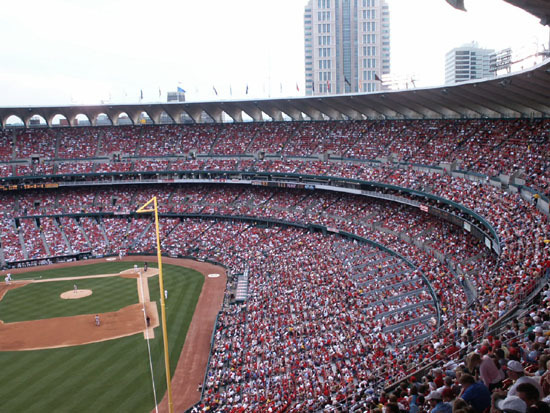 There were 46,003 fans in attendance at a warm evening game.